Ron and Maggie Tear Photography: Mia, "Wild about Dolphins "
Mia, "Wild about Dolphins "
Sheri ( captain and guide ) and Mia ( her Labrador ) run a Dolphin encounter out of Key West, Florida. It is whith out a shadow of doubt one of the best experiences with Dolphins. No harrament just play them sweet music and keep your distance. They came to us and swam under the boat ! 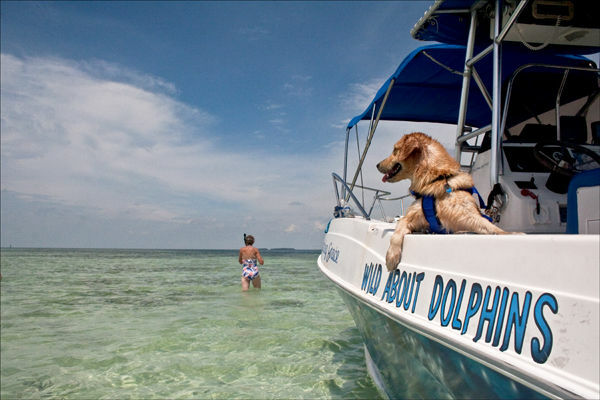 Add snorkeling and paddleling on a sandbar you have a complete natural day. Sheri was the perfect host, captain and guide. If in Key West look her up !